This entry was posted in Events on June 13th, 2018 by Moda Restaurant. We just really want to thank you both (and also Javier and the team) for making our special day so wonderful. The ceremony was beautiful and the reception was perfect. The setup, service, atmosphere, food and drinks were all so great. Everyone loved the food and enjoyed the night. You guys made the whole process leading up to the day so enjoyable and we are so grateful that we were able to have our wedding at Moda Restaurant. This entry was posted in Testimonials on March 22nd, 2018 by Moda Restaurant. Bring your cellared bottles of wine to be enjoyed with Javier Codina, please find the new menu below. This entry was posted in Events, News & Mentions on March 8th, 2018 by Moda Restaurant. Moda Restaurant Weddings capture the best of the great outdoors and the fantastic climate we enjoy here in Brisbane. This makes choosing a venue with outdoor areas a desirable feature for those tying the knot during the warmer months, but in fact outdoor wedding remain popular during all seasons here in Brisbane. Please follow the link to view our Moda Restaurant Wedding Packages 2018. I have also included, a link to our interactive Wedding Packages. This entry was posted in Events, Weddings on February 22nd, 2018 by Moda Restaurant. This entry was posted in News & Mentions on January 19th, 2018 by Moda Restaurant. Moda is Open for 2018 from this evening. Javier and Francois look forward to welcoming you back to Moda Restaurant for 2018. This entry was posted in News & Mentions on December 19th, 2017 by Moda Restaurant. Moda Restaurant Cocktail Party is the perfect way to celebrate Melbourne Cup. 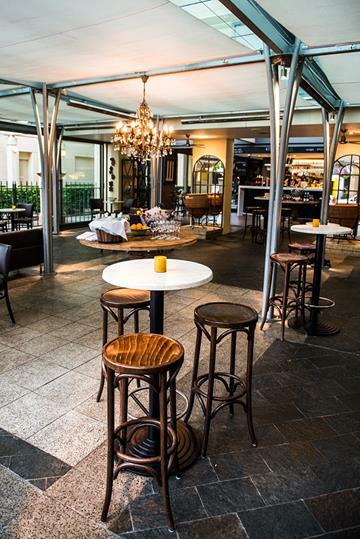 We offer sophisticated cocktail parties at Moda Restaurant and are one of the most unique and stylish in Brisbane City. Our gorgeous sheltered garden courtyard is perfect all year round; keeping you cool in summer and warm in winter. We offer an outdoor vibe with indoor comfort. We will have lots of seating available in our Garden Room. The venue will be fitted out with LCD Screens to ensure that everyone can see the race. Prizes for Best Dressed Man and Woman, sweeps, music and lots more. Join us in celebrating the race the stops the nation, flowing with Seafood, Live Chef Action Stations, Canapes, Churros with Chocolate sauce just to name a few. 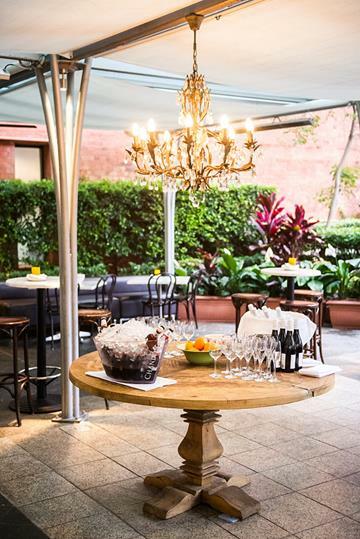 Complemented by the cosmopolitan casual elegance of our space in the heart of Brisbane, and our renowned welcoming service, will make the 2017 Melbourne Cup event unforgettable. This entry was posted in News & Mentions on October 5th, 2017 by Moda Restaurant. 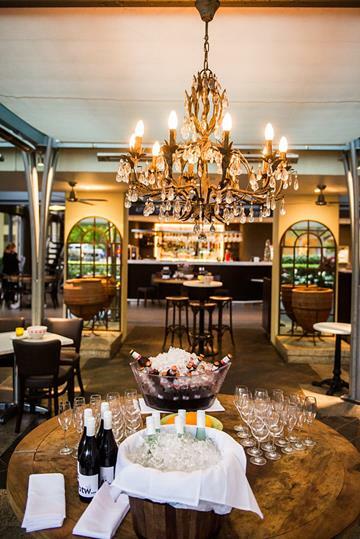 The Wine Room is situated on the mezzanine level of the restaurant, graces the light-filled space for an experience where privacy is at a premium. Join us in celebrating the race the stops the nation, starting with a glass of Cava and a beautiful three course Javiers Table Experience Style Seated Lunch. The share style menu is nicely portioned based on the number of guests seated at each table. All the guests will be able to taste, each of the delicious offerings from each course. The menu is served in stations down the table, for the guests to help themselves. Our complete Moda Wine list will be available for the guests to choose from on the day. Menu subject to change based on seasonality, similar replacements will be offered. All dietary requirements will be catered for; please advise the guests name and requirements when making the reservation. Have Moda Restaurant Cater Your Riverfire Celebration! Have a view of the Fireworks? Great for anyone with striking views of the fantastic Sunsuper Firework Display on Saturday 30th September 2017 and would like some amazing food, then look no further. Moda Restaurant makes catering so easy for you. Your delicious food will be available from the Restaurant anytime from 4:30 pm, just need to let us know when you place your order. This entry was posted in News & Mentions on September 15th, 2017 by Moda Restaurant. This entry was posted in Biographies on May 26th, 2017 by Moda Restaurant.